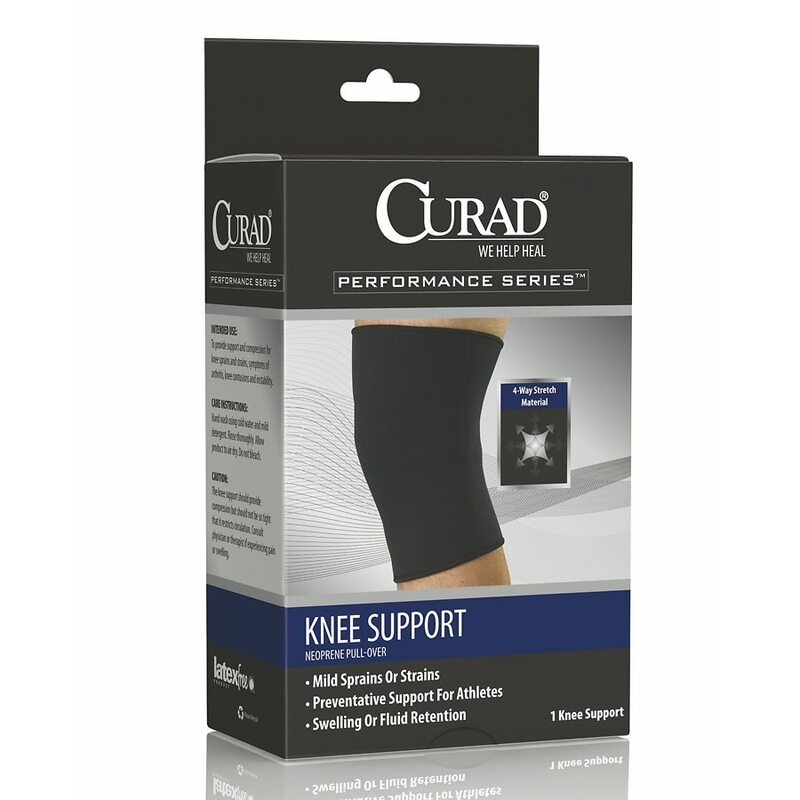 The Curad Neoprene Knee Support contours to fit the knee. The support retains heat to warm the affected area and it offers steady compression to minimize swelling. This knee support is for swelling from minor knee injuries and slight arthritis pain. The fabric stretches in four ways allowing the ultimate in flexibility and comfort. Please Note: You can return or exchange unused products in excellent condition and original packaging within 15 days of receipt. Federal Law prohibits the reuse of medical supplies; therefore returns of medical supplies are only accepted in cases of manufacturer defect. For health and hygiene reasons, some items (briefs, graduated compression hosiery, nursing bras and lingerie) are not returnable or exchangeable once the packaging has been opened EXCEPT for the reason of manufacturing defect.